Omega’s audio engineering students are exposed to a variety of experiences to help them decide what engineering track they want to follow. A recent trip The Discovery Channel gave students a look inside the audio engineering life of an Omega Grad. Discovery, the second most distributed cable channel, has its worldwide headquarters right outside of Washington, DC in Silver Spring, Maryland, so it was convenient to the Rockville, MD campus. Recently some of Omega’s best and brightest audio engineering students toured the technical facilities (a separate facility from their main headquarters). This tour was arranged and conducted by Omega Graduate Marcus Marshall, Digital Media Engineer, Project Engineering and Andrew Peterson, Audio Supervisor, DCTC. The tour highlighted the Network’s technical facility, located in a separate building from their corporate headquarters. This location is where all the mixing and post production is done to support their programming. Both Mr. Peterson and Mr. Marshall explained in detail how their various studios are designed, constructed and managed. 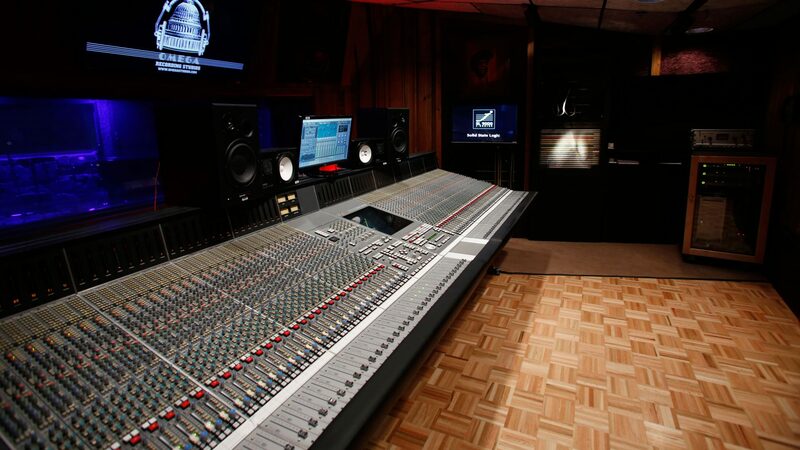 The participants visited a recently completed mixing studio, sans equipment. This particular studio was constructed with layers of wood, concrete and steel, making it as indestructible as a safe house would be if a natural disaster occurred. This tour as well as others is part of Omega Studios’ School’s on-going program to expose our students to relevant career options. See some Audio Engineering-related career options here.